Bring your own device (BYOD) programs contain a certain amount of risk that any consumerization-based program entails. However, with the right mobility management tools and rules for mobile device support, your BYOD program can improve business without all of the risks. 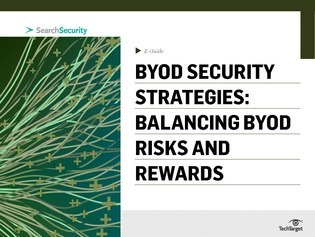 This expert guide takes an in-depth look at BYOD security strategies, outlining what crucial factors you need to keep in mind and how you can ensure a successful and secure BYOD initiative.